It seems like every day there’s a new platform that marketers “should” be focusing on. And Snapchat is one of the most recent platforms that has popped up on that list — with good reason. According to a Financial Times report, Snapchat’s video traffic nearly tripled between June and November of 2015. As of early 2016, Snapchat users view a total of 7 billion videos per day. In fact, when it comes to monthly usage, it has already surged past Twitter and Tumblr and is quickly gaining on Instagram. 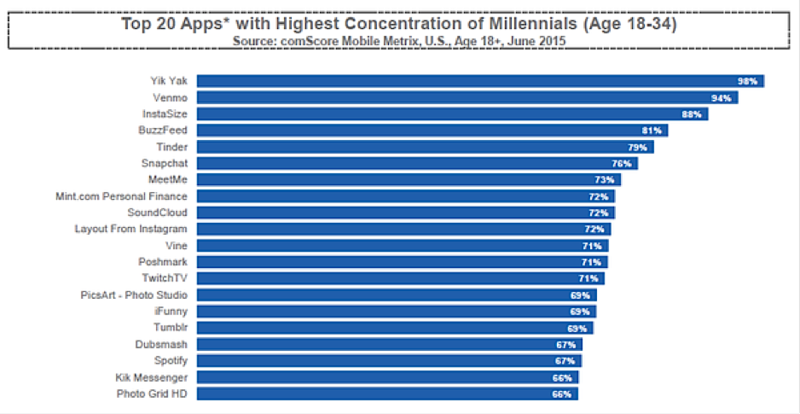 Snapchat also has the sixth highest concentration of Millennials among all major apps. According to AdEspresso, 76% of those Millennials are online shoppers. That means there’s a better chance of converting them to a sale, depending on the product you’re promoting, of course. And even though Snapchat is growing quickly, it’s still much less competitive in terms of advertising compared to Facebook because only 1% of advertisers are using Snapchat for marketing. But the main reason that Snapchat is so effective right now is the context of the platform: Snapchat allows brands to interact with their audience in a way other platforms don’t. For example, businesses can use it to create urgency to buy because each snap has a limited lifespan before it expires forever. Or you can display a more authentic side of your brand because you’ll be taking videos on your phone without fancy production equipment. Most marketers completely dismiss up-and-coming platforms because they don’t know how to track ROI, or because they assume that no one in their target audience will ever start using it. But those who jump on a new platform early in the game are the ones who get better results. Back in 1999, Gary Vaynerchuk had a 99% email open rate with an list size of 300,000 — that was before everyone jumped on e-mail marketing, of course. Similarly, today with Snapchat, if you have 1,000 followers, 900 of them will consume your content. That number will go down as more and more brands and advertisers get on Snapchat — just like it did with e-mail, Facebook, Twitter, and other social media platforms. In this post, I’ll cover some proven marketing strategies you can use for your business on Snapchat — strategies that have been successfully used by companies like Grubhub, Gatorade, Vans, Kraft, and more. In this section, we’ll dive into the different features of Snapchat and define some of the terms before we get into the marketing strategies. Each individual snap can be either a picture or a video that lasts from 1 – 10 seconds. Snaps can be sent individually or added to your Snap Story as a collection. To record a video, just press and hold the button at the bottom of the main screen. Free Bonus Download: If you enjoyed this post, then get ready to receive more actionable info on social media marketing — everything you need to know about YouTube advertising! Click here to download it free. To take a picture, just tap the button instead. Snap stories can be viewed by all your followers and you can view stories from everyone you follow. To chat with an individual user, you can swipe right on their name after viewing their story. Then you can send them a message that will disappear after they’ve read it. You can also message followers directly from the “chat” page, which can be accessed by swiping right from the main screen after opening the app. 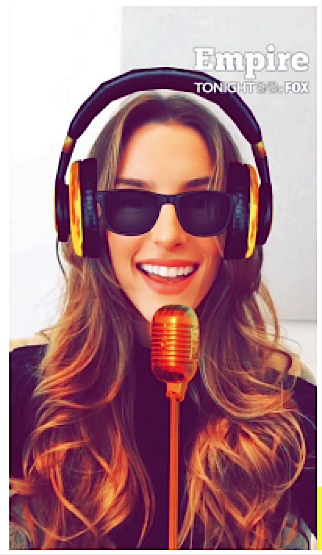 Snapchat launched the lenses feature to let users overlay fun animations on their selfies on the app. 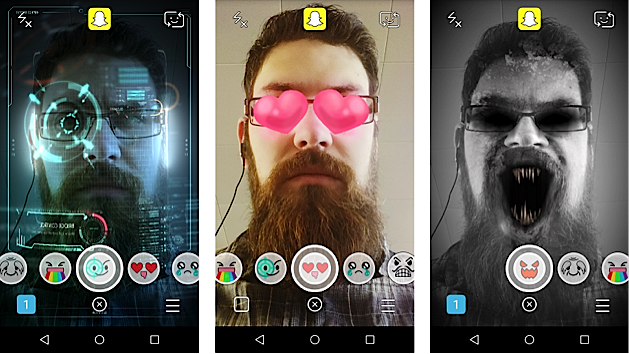 To activate lenses, open the main screen of the app then and press and hold on your face until a series of options show up near the bottom of the screen. Users can make rainbow vomit flow out of their mouths, add an animated mustache to their lip, “face swap” with a friend, or choose from a variety of other animations. For larger brands, Snapchat sells custom sponsored lenses. Gatorade developed a lens that allowed users to experience a virtual Gatorade dunk like the NFL pros do after a Super Bowl win, and it was viewed over 165 million times — more than the Super Bowl itself! 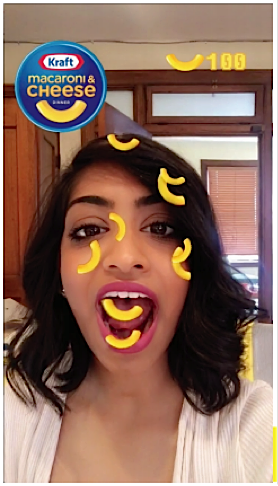 Kraft also partnered with Snapchat for a sponsored lens campaign in which users were able to virtually catch macaroni in their mouth and score points for each catch. According to the case study, the lens reached nearly 20 million users with an average engagement time of 20 seconds. The campaign also gave Kraft a 5-point increase in brand favorability and a 13% boost in purchase intent. Empire, a show on Fox, also partnered up with Snapchat to create a sponsored lens campaign. The main goal was to drive more viewers to an upcoming season premier, as well as growing their Snapchat following. 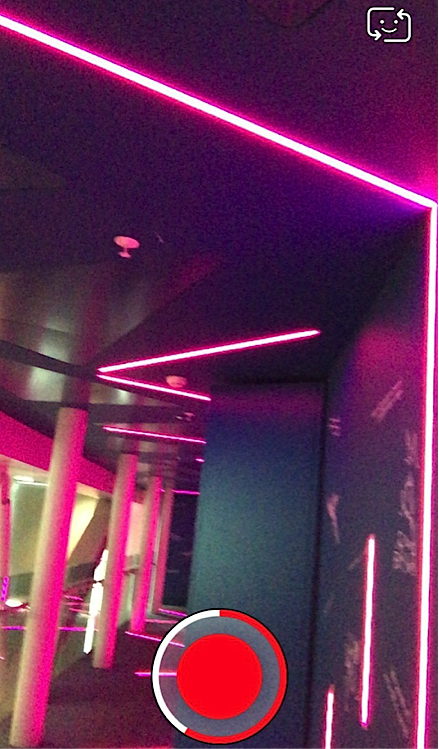 Once users unlocked the lens, they could record audio vocals (which fit the theme of the show) and share them with friends. According to the case study, they were able to reach 27 million users with an average engagement time of 20 seconds. They also saw a 16-point boost in brand awareness and an 8-point increase in intent to watch. Ultimately, the results speak for themselves — after the sponsored lens campaign Empire’s season premier was the top rated and most watched show on TV. Applying filters is another way to enhance your Snapchat content. After taking a photo or a video, swipe right over it to choose a filter. 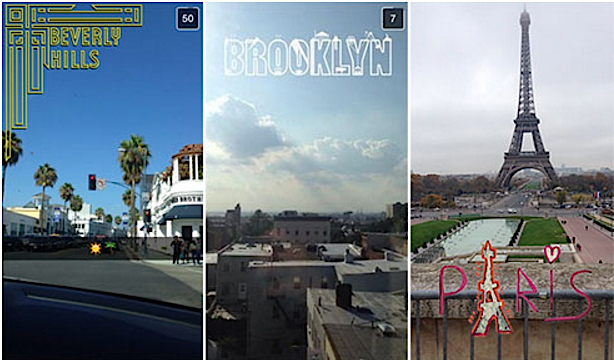 For businesses, Snapchat has “on-demand” geofilters available. For a small charge, you can design your very own geofilter for a location of your choosing (minimum 5,000 square feet, maximum 5,000,000 square feet). If you’re hosting a local event or meetup at an office, an on-demand geofilter could help you spread the word more effectively. 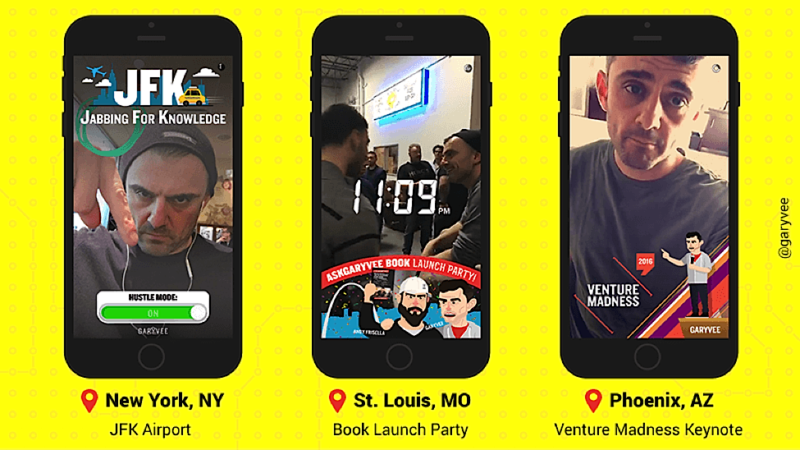 Gary Vaynerchuk used on-demand geofilters to “brand” his book launch event as well as a keynote presentation. Vans partnered up with Snapchat to add a custom, on-demand geofilter in various locations throughout the U.S. to highlight spaces that represent Vans’ history. The geofilters featured eye-catching art to accurately represent the Vans brand. According to the case study, 20% of people who unlocked the geofilter chose to send it to their friends. Vans saw a 34-point boost in purchase intent — which is 2.5x greater than standard benchmarks for mobile retail. They also saw a 20-point boost in brand favorability, which is 3x greater than standard benchmarks for mobile retail. To add friends on Snapchat, tap the Snapchat logo at the top of the main screen of the app. By clicking “add friends” you can add people by username, by snapcode, from your contacts list, or even add people who are nearby. Snapcodes are unique QR-like codes that you can use to quickly add new friends — all you have to do is screenshot someone’s snapcode, go to “add friends -> add by snapcode,” and then allow Snapchat to scan the snapcode from your photos. This can also be an effective way to build a following on Snapchat. For example, Forbes replaced their Twitter profile picture with their snapcode so their Twitter followers can easily screenshot the code and follow them on Snapchat within a couple of clicks. Now that we’ve got a pretty good grasp of the basic features of Snapchat, let’s dig in to how they can be applied to help businesses generate ROI and expand their reach. One of the most straightforward, proven ways to generate ROI through Snapchat is by offering discount or promo codes through your snap story. Grubhub is one example of a company that did this really effectively. Through their snap story, they used the built-in urgency of Snapchat to get their followers to use their discount code to purchase something from their site. 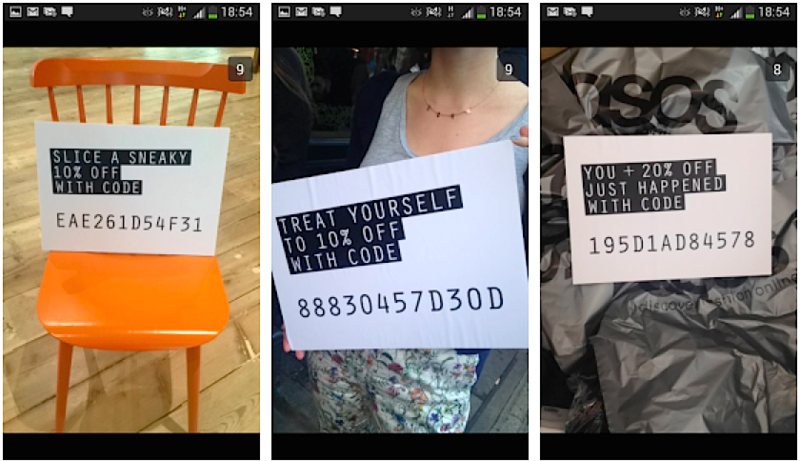 The British fashion company Asos also used Snapchat to promote discount codes for their products. Back in 2013, they sent about ten different discount codes to their followers (which, of course, disappeared quickly). Users had to screenshot the images in order to use the codes on purchases. The best part about directing your followers to discount codes or special links is that the engagement can easily be tracked. You’ll know exactly how many people use a particular code to purchase something on your site or visit a specific URL. This makes it easy to develop some baseline conversion rates for Snapchat, and ultimately determine your ROI. Because Snapchat doesn’t have organic discovery built in the platform, you can’t build your following solely within Snapchat like you can on Twitter or Facebook. Instead, you have to bring in your followers from other channels — like e-mail, blogging, other social media platforms, etc. 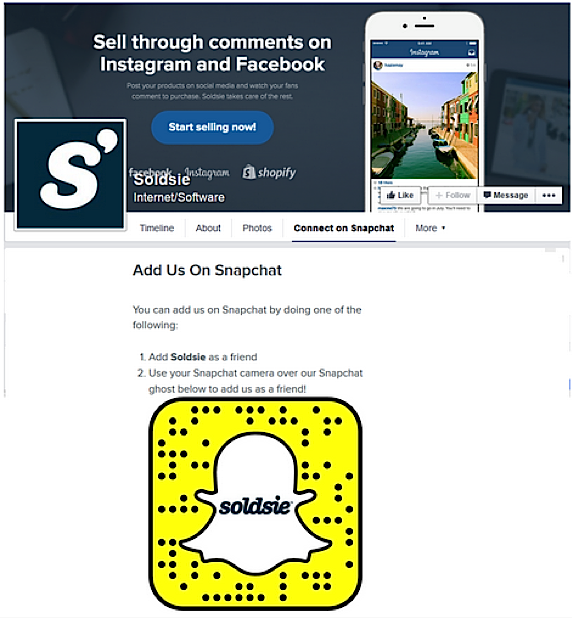 For example, Soldsie created a customized tab on their Facebook page to promote their Snapcode. You can also put your Snapcode as your Twitter profile picture. Apart from promoting your Snapcode and asking people to follow you through your different marketing channels, you can also post your Snapchat content on other platforms. 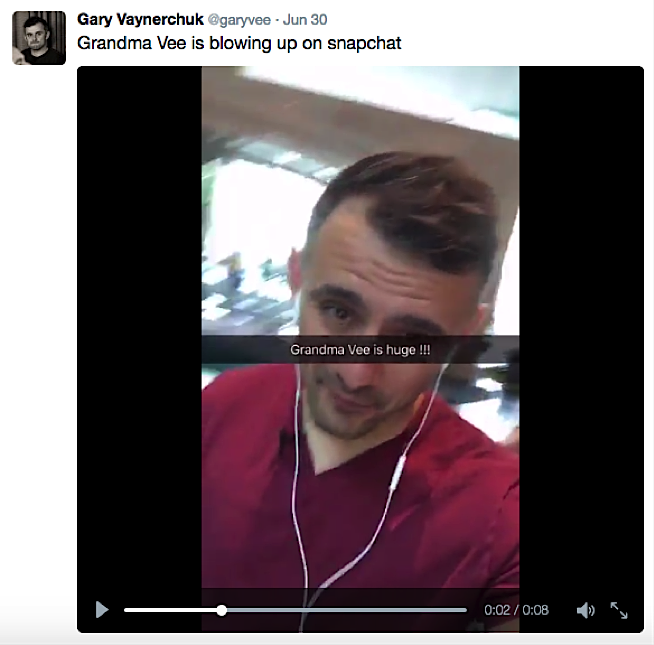 For example, Gary Vaynerchuk occasionally saves his snap videos and posts them on his Twitter account to encourage his Twitter followers to follow him on Snapchat. By posting your snaps on other channels where you have an existing following, you can give your audience a preview of what they’ll get if they follow you on Snapchat. You could also run a promotion to build your Snapchat following. For its first 100 Snapchat followers, Acura offered an exclusive video of a new car prototype. Influencers can be a highly effective gateway to a large number of followers in a relatively short period of time. For example, Audi wanted to target Millennials so they partnered up with the show Pretty Little Liars, which has a huge Millennial audience. They posted a series of snaps asking viewers to tweet their guess of what was going to happen on the show’s season finale. The result? Audi gained over 115,000 followers on Snapchat from this campaign alone. 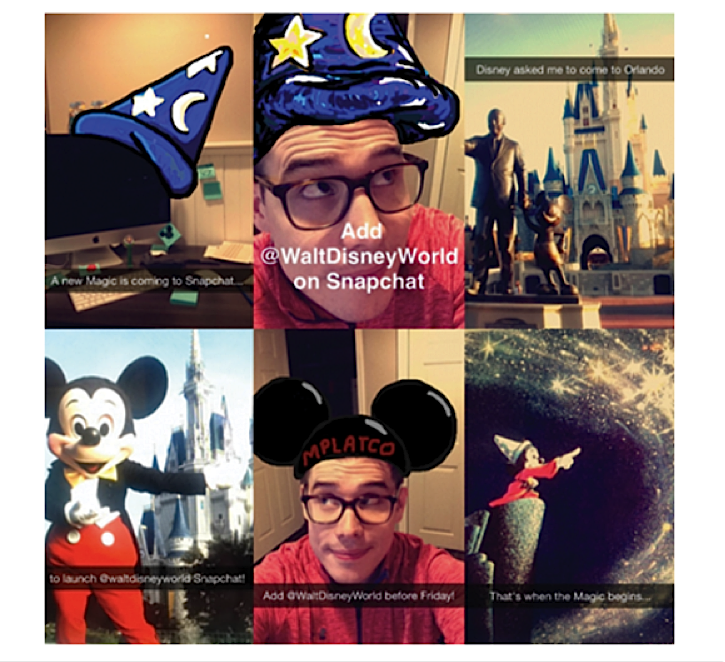 Disney partnered with Snapchat influencer Mark Platco to help their Magic Kingdom Snapchat account generate more followers. 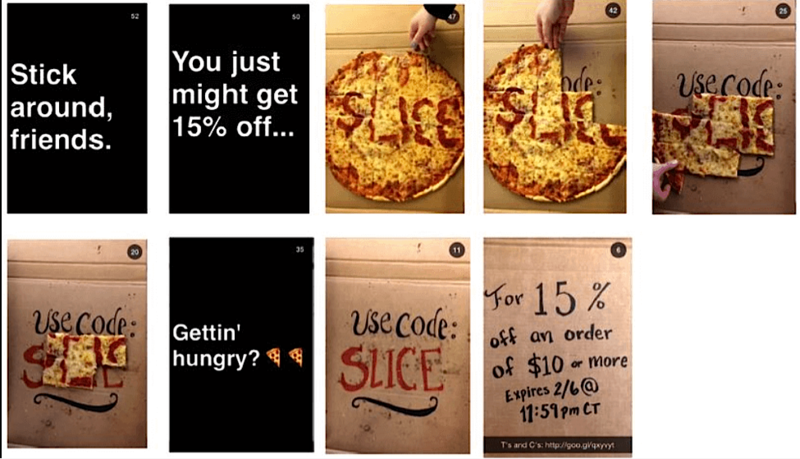 Platco posted a series of snaps from Walt Disney World with the right call-to-action messages (i.e. “Add @WaltDisneyWorld”). Another way to leverage influencer marketing on Snapchat is by doing something called an “Snapchat Takeover” where an influencer posts snaps on behalf of a brand for a certain period of time. For example, Adidas worked with rapper Pharrell to do a takeover of an Adidas event. According to Sprinklr, his Snap story ended up getting over 3.4 million views in 24 hours. Of course, if you run a smaller company, you don’t have to reach out to people like Pharrell or partner up with a prime time television show to see incredible results from influencer marketing. You could find your own niche-specific influencers through other platforms like Instagram, YouTube or Twitter and then see if they also have popular Snapchat accounts. Or you could use influencer marketing agencies like Mediakix to find the right influencers for your specific marketing campaign. Read More: What Is Influencer Marketing? Most marketers focus on tried-and-true marketing channels. It’s important to stick to what works and focus on getting a high return for your marketing efforts. But you shouldn’t just stick to established methods while underestimating up-and-coming platforms. A big reason why marketers tend to neglect platforms that aren’t fully “established” is because there’s some level of uncertainty as to how to calculate ROI. After all, if there’s no ROI, then why spend any time on it? When it comes to advertising, it’s important to know that your target audience (assuming we’re talking about Millennials, who are currently dominating Snapchat’s user base) is actually consuming your content. There’s no point in producing content if everyone just mindlessly scrolls past it. By looking at the number of screenshots on your content, you can get a feel for how valuable your material is to your audience. If you send promo codes or direct your followers to a URL, you can also track how many people visit that specific URL or use a particular promo code. This way you can directly track ROI, as well as see how many of your followers are willing to engage with your brand outside of the platform. Completion rate gives you an accurate sense of how many people are fully consuming your content. It can be calculated by dividing the number of people who viewed the last snap in your story by the number of views on your first snap. Remember that snap stories are just a collection of snaps you’ve posted on your account from beginning to end. Users cannot view the last snap you post without going through your entire story from the beginning. Because of this you’ll get a sense of how many people were captivated enough by your content to go through to the end. Right now, Snapchat is one of the fastest growing social media platforms on the web — right behind Facebook and Instagram. And despite that, only 1% of advertisers are using Snapchat to promote their brand. As social media platforms grow, they get more and more crowded, and it gets harder to stand out. Snapchat will be no exception. Right now, Snapchat is in that “sweet spot” — high traction, high user engagement, and a relatively small number of brands competing for users’ attention. And the brands that jump on board now are getting massive results. 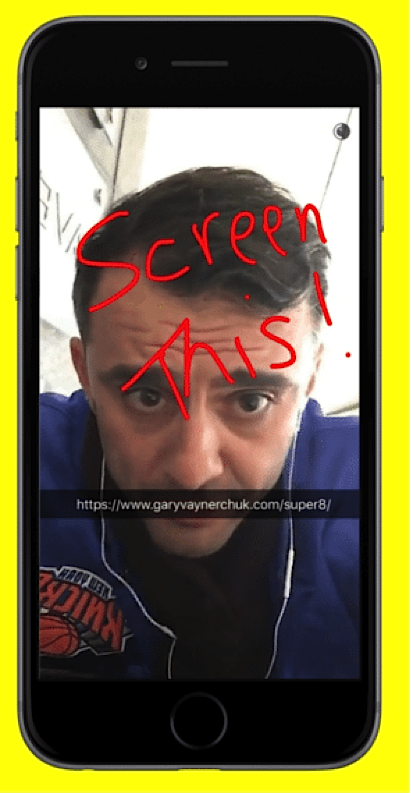 How will you leverage Snapchat in the future to grow your business? Leave your comment below.